Don't forget about our massive competition! 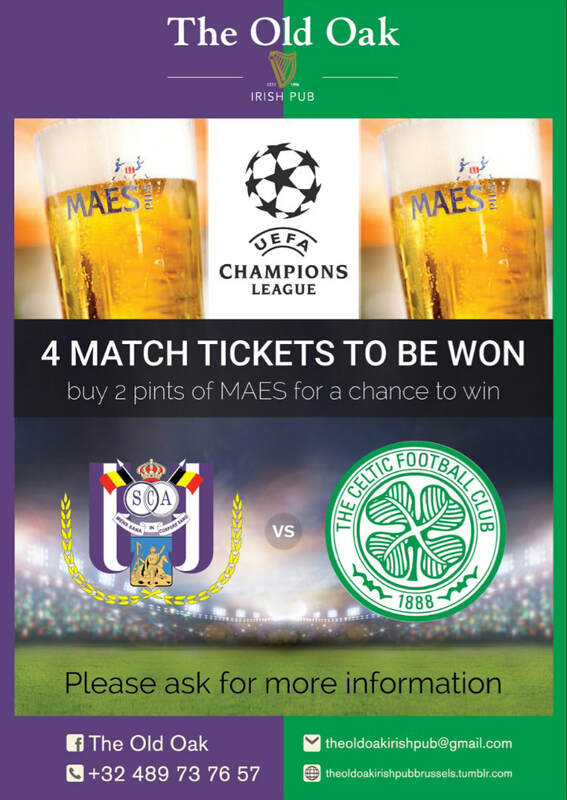 Simply buy 2 pints of Maes at The Old Oak andhold on to your raffle tickets until the draw is made. The draw for the match tickets will take place in the Old Oak after the Champions League games on Tuesday 26th September ​and will be streamed live via the Facebook pages of the Michael Collins and DeValeras.